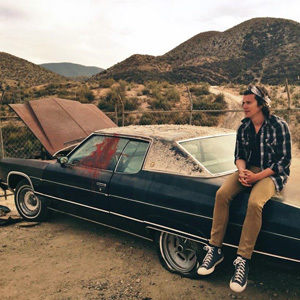 Writer/Director Mickey Keating has been taking the 2015 festival circuit by storm. With back-to-back hits like Pod and Darling, along with his upcoming film Carnage Park, Mickey is reminiscent of a young Hitchcock. With complex characters, each exploring their own humanity in the dark shadows of life, the stories unfold into an enjoyable tangled web of mystery and madness. Once you start watching the fear burrows under the surface and just lies in wait. Mickey places the audience in the room with the characters and leaves you to find a way out. With this voyeuristic approach the audience becomes unnerved like the characters as we all surrender to the isolation. We caught up with Mickey to discuss filmmaking, festivals and fear. MV: Welcome to Movie Vine, Mickey! 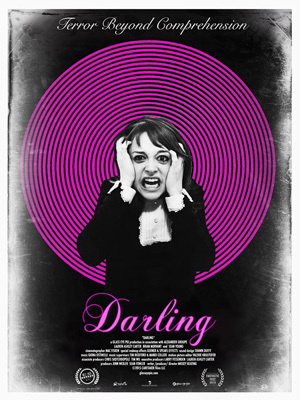 Before we begin I want to congratulate you on the distribution deal with Screen Media for Darling. I am really looking forward to seeing this film. Mickey: Thank you so much! MV: What happens to Darling now? I know there is a theatrical release planned for 2016, but are you also considering an early VOD release later this year? Mickey: We’re still going to tour with it, heading to a few more festivals, and it’s also playing at The Lincoln Center in NYC on November 3rd. We’re locking down the rest of our release schedule soon. Mickey: Ha! Honestly, I love Austin and have had so much fun at SXSW and Fantastic Fest. I just want to keep coming back to both as many times as they’ll have me. MV: What are a few lessons learned that you can share with new filmmakers who are warming up to festivals? Mickey: Meet as many people as you possibly can. See as many movies as you possibly can. Festivals are a great place to connect with likeminded people who you might end up collaborating with one day. MV: That is great advice! Thank you. Do you enjoy premiering your films at festivals? Mickey: I adore it. It makes all the stress of making the film worthwhile. There’s nothing better than seeing your film with a gigantic crowd for the first time. MV: Audiences tend to expect similar stories from writers and directors. Would you talk a little about your decision to experiment with all aspects of the genre? Mickey: I think all my favorite directors have explored different genres with the intention of adding their own, unique perspective to it. Altman, Kubrick, Scorsese,The Coen Bros, Polanski, even Billy Wilder and Woody Allen. There’s something so much fun about taking staples from various genres and trying something different. MV: Darling is shot similar to an old-school 60’s stylistic black and white film. What inspired you to take this approach, and was this the way you always imagined Darling even before writing the script? Mickey: Yeah, I think most of the films that inspired Darling are black and white. The world just seemed black and white when I wrote it. MV: What were some of the unexpected challenges in working with a stark black and white pallet? Mickey: Honestly, I can’t think of a single challenge. I love black and white and will definitely shoot another movie that way soon. MV: Lauren Ashley Carter brought such depth and intensity to her character, Lyla, in Pod. Would you describe the transition of directing Lauren from a lost character in Pod to a lonely character slowly slipping into madness in Darling? Mickey: Well first and foremost, I wrote Darling with Lauren in mind. We talked a lot about the character, I sent her early drafts. We just kinda went with it and I think that helps. If you can have conversations as early as possible with the actors and cover all your bases before the shoot, a lot of magic can happen when the cameras roll. 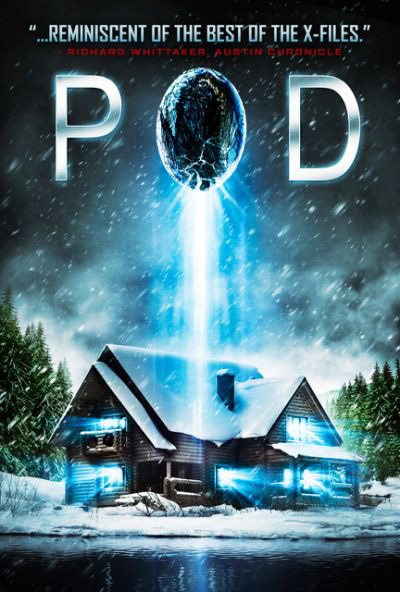 MV: Pod is a brilliant slow-burn family drama that is tucked into an insane claustrophobic cabin in the woods story. It totally got me. This was a quick turnaround for you so when you were writing the first draft did you know where the story was headed? Mickey: I always wanted to tell that kind of story, but I write my first drafts by hand and let the film just spill out onto the page. I have a set amount of films – usually twenty to thirty – that I know I want my movies to be like so I usually have some sort of direction and end in sight, but getting there for the first time is always something new. If I can keep telling a story that just builds off of the energy from the page before it, then I know that at some point it’ll end up where it’s supposed to. Wherever that may be! MV: Would you mind sharing how Pod came into existence? Mickey: I’ve been dying to make a film like The Monsters Are Due On Maple Street for such a long time. Paranoia and violence built from human hysteria is an idea that I’ve always been fascinated by. It came together so organically when my producer Will Frank told me about his family cabin up in Maine. He showed me all these pictures of the surrounding woods and the terrifying basement. The rest of the pieces fell into place from there. MV: Your films suggest that you enjoy exploring isolation, emotional trauma and mental health issues within your characters. What attracts you to those underlying themes when creating your characters? Mickey: I like making movies about people first and foremost – the way we deal with situations, the bad choices that we all make in the heat of the moment. We all have personal issues, skeletons in the closet, or some sort of dark side. That’s just the fact of being a human being. I like watching those things unfold in whatever manner the story decides and treating the characters like real people, flaws and all. That interests me a lot more than getting to the next kill. MV: There is something about isolation that taps into the dark recesses of the human psyche and is truly frightening for everyone. Especially when you touch on the fear of going mad and slipping away within yourself. What types of isolation frighten you? Mickey: Anything that involves me being really far away from a hospital if something bad were to happen. That’s the isolation that scares me the most (laughs). But also the inability to trust one’s own mind is a subject that I’m very fascinated by. I’ll probably continue to explore that in some way or another for quite some time. MV: Do you find when writing characters who are struggling with fear that it gives you a chance to face your own fears in the process? Mickey: Writing horror can be a form of therapy, for sure. MV: Have you ever written anything that has kept you up at night, or created a new fear that hadn’t bothered you before? Mickey: We’ve had a couple times in the edit where the mood got really dark because of something we were cutting. The suffocation scene in Darling was definitely one of those. Val – my editor who has cut all four of my films – assembled that scene really quickly and we were both immediately effected by it. We turned on an episode of The Simpsons to lighten things up. MV: Carnage Park is loosely based on a true story and sounds like a fun, albeit creepy, survival film. How did this story find you? Mickey: It’s a combination of a lot of things – soldiers returning home from the Vietnam War, stories of bank robbers out in the California Desert who fled into the wilderness and were never found again. Some seriously wacky things have happened in that part of the country. MV: How authentic was your wardrobe department since Carnage Park is set during the 70’s? Mickey: Costumes are very important to me, so we kept it as authentic as we possibly could. Ashley’s dress in the film was custom made from some fabric our costume designer found from the early 70’s. One character’s wardrobe is an homage to Badlands, another’s to Easy Rider. Films from the late 60’s/early 70’s have the most amazing costumes. MV: Last question: If you were stuck in the desert being chased by a madman what survival skills have you learned from watching horror films that, if used correctly, would lead you to safety? MV: (laughs) Thank you so much for taking the time to talk to Movie Vine, Mickey. We are looking forward to the release of Darling and Carnage Park. Mickey: Thank you for having me! *Pod is currently available on VOD/iTunes. Check your local film festival schedule for Darling. Be sure to follow Mickey on Twitter and Instagram. It's been four decades since I first discovered a passion for movies. One momentous evening in 1977 my sister and brother introduced me to Star Wars and it forever changed my life. I relocated to Los Angeles after receiving a BA in Theatre and lived in the San Fernando valley for nineteen years. Besides acting and writing, I enjoy movies, music, theatre, relaxing at the beach or in the mountains, mastering racing games, traveling around the world, and hoarding chapstick. My husband and I are currently readjusting to life back in the States after spending three years living in Shanghai, China. Comments for Darling with Mickey Keating are now closed.